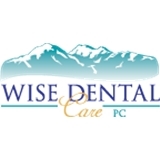 Wise Dental Care PC (Lakewood) - Book Appointment Online! The dental well being of our patients is our priority! We strive to make optimal dental health, a WISE decision. Dr. Wise is an awesome dentist with a unique "old school" approach. The equipment in the office wasn't super high tech, but you don't really need that. What I found amazing is that Dr Wise did the ENTIRE appointment himself- teeth cleaning and all. He's about 60 with thoughts of retiring, and loves skiing, golf, and biking; all are hobbies that I'm into as well which made for fun discussion and a great experience.